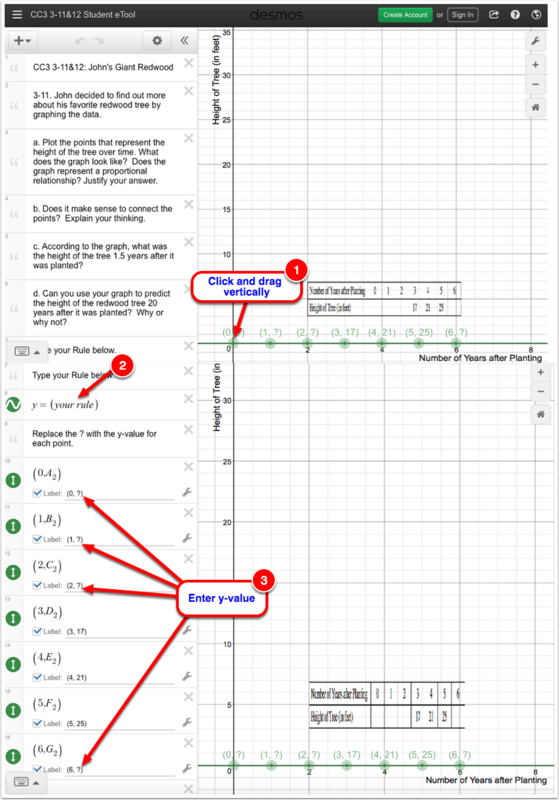 Use this eTool to answer problems 3-11 and 3-12. Plot the green points by clicking and dragging each one vertically. Type your Rule that goes through the points in Line 9. Replace "?" with the y-value for lines 10, 11, 12, and 16.